Structures of Coastal Resilience presents new strategies for creative and collaborative approaches to coastal planning for climate change. In the face of sea level rise and an increased risk of flooding from storm surge, we must become less dependent on traditional approaches to flood control that have relied on levees, sea walls, and other forms of hard infrastructure. 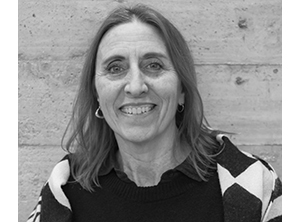 But what are alternative approaches for designers and planners facing the significant challenge of strengthening their communities to adapt to uncertain climate futures? 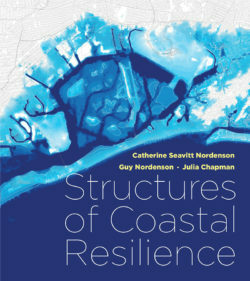 Authors Catherine Seavitt Nordenson, Guy Nordenson, and Julia Chapman have been at the forefront of research on new approaches to effective coastal resilience planning for over a decade. In Structures of Coastal Resilience, they reimagine how coastal planning might better serve communities grappling with a future of uncertain environmental change. They encourage more creative design techniques at the beginning of the planning process, and offer examples of innovative work incorporating flexible natural systems into traditional infrastructure. They also draw lessons for coastal planning from approaches more commonly applied to fire and seismic engineering. This is essential, they argue, because storms, sea level rise, and other conditions of coastal change will incorporate higher degrees of uncertainty—which have traditionally been part of planning for wildfires and earthquakes, but not floods or storms.